Are you a T-shirt Junkie just like we are ? Well its the most wearable & dynamic wear we say! It can we be worn in so many different ways , the easy to style & all time favourite wear. Sanskruti’s look is playing Boho! She have teamed a T-shirt with bright maroon coloured Ethnic Skirt. She always finds a way to create a Boho look. This look can be easily carried for a Shopping Day where you want to be comfortable yet look a fancy. Accessorizing it right & wearing comfortable brogues. Shruti is playing so cool with Joggers & Tee with this look today. Joggers are just love besides being abnormally comfortable (many have elastic at the waist as well as the cuffs), they cut a lean, tapered silhouette that shows off your favourite shoes, without pesky concerns about rolling or hemming your pant leg. The simple sassy Blue Official Licensed F.R.I.E.N.D.S T-Shirt If you love FRIENDS, you definitely need to get this cool Chandler Tee, also she personally love wearing cotton tees just soothes in your skin. These Joggers are right at home on a low-key Saturday rocking an athletic Tee or Jersey, in search of fresh air and rare records. 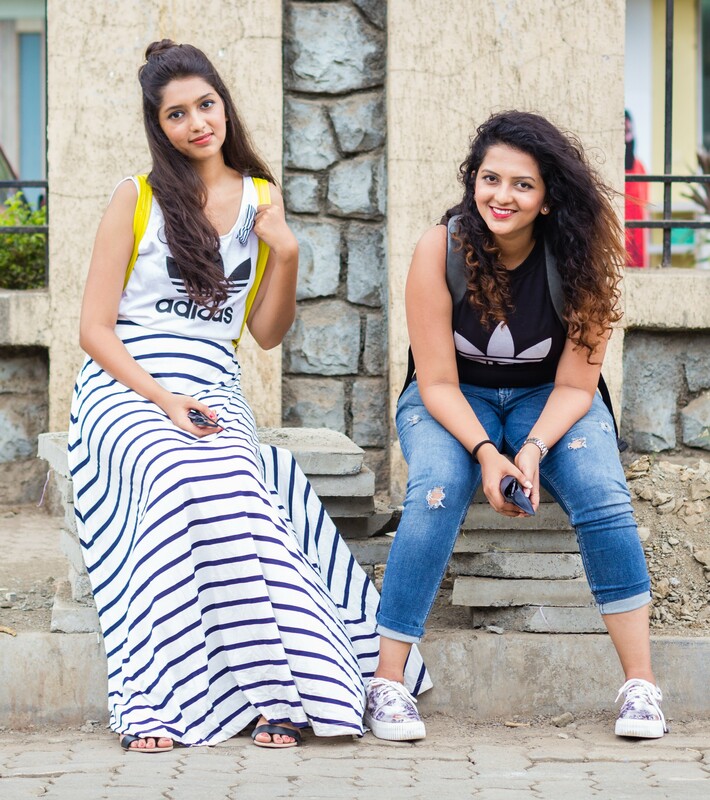 Shruti: Joggers-bewakoof.com/ , T-Shirt-.thesouledstore.com, Sneakers- Bandra Hill Road. 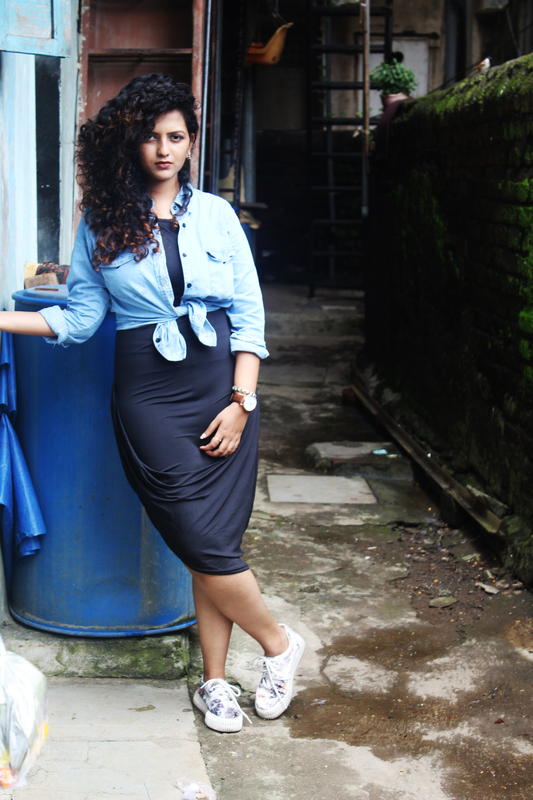 Sanskruti: Ethnic Skirt- Reliance Trends, T-Shirt- thesouledstore.com, Brogues- Bandra Hill Road. Previous articleCurly & Straight- Hair Care Routine ! Next articleGood Old College Days ! Girly Girl Or Tom Boy !